Post Graduate Institute of Medical Education and Research (PGIMER), Chandigarh has given a notification of 09 Project Coordinator, Research Officer, Attendant and other Jobs on the contract basis for the Regional Institute for HIV Sentinel Surveillance School of Public Health, PGIMER Chandigarh. The interested candidates can apply for the PGIMER Chandigarh Recruitment 2018 on or before 18 June 2018. PGI Recruitment 2018-19 notification is out. As per the Notification, there are 09 Project Coordinator, Research Officer, Attendant and other Vacancies. The educational qualification is M.Sc. Life Science, MBBS, and Matriculation. The age limit is as per the PGI Chandigarh rules. If you are looking for Govt Jobs in Chandigarh PGIMER then this article is going to be very helpful for you. Project Coordinator: MD in Community Medicine or Ph.D. in Life Science or MBBS with 03-years research experience in the field of HIV or MPH with 03-years research experience in HIV or M.Sc. Life Science or Statistics with 03-years research experience in the field of HIV. Research Officer: M.Sc. in Life Science with 01-years of experience in research or MPH with 01-year research experience. Office Assistant: B.Com with minimum 02-years of experience. Data Entry Operator (DEO): Graduation and 01-year computer diploma with at least 02-years of experience. The age limit is as per the department rules. You can send your application to Dr. PVM Lakshmi, Additional Professor along with the curriculum vitae and supporting documents at Room No. 108, School of Public Health, PGIMER, Chandigarh on or before 18.06.2018. Last Date: 18 June 2018. Date of Typing Test: 20 June 2018. Date of Interview: Will be confirmed later on. Post-Graduate Institute of Medical Education and Research (PGIMER) has given a notification of 98 Senior Residents and Junior/Senior Demonstrators Vacancies. The interested candidates can apply for PGI Recruitment 2018 on or before 25 May 2018. PGIMER Chandigarh Recruitment 2018-19 notification is out. As per the Notification, there are 98 Senior Residents and Junior/Senior Demonstrators Vacancies. The educational qualification is MD and M.S. The upper age limit is 33 years. If you are looking for Jobs in Chandigarh PGIMER then this article is going to be very helpful for you. Forensic Medicine MD in relevant field. Hospital Administration M.D./M.S. or equivalent qualification or Master’s degree in Hospital Administration. Senior Medical Officer Postgraduate. MDS in special concerned. Senior Demonstrator (Non-Medical) Postgraduate in MD/MS in the specialty concerned. Junior Demonstrator M.Sc. in the subject concerned. Sr. Demonstrator (Health Economics) M.A./M.Sc. 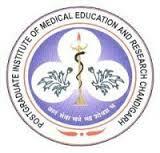 in Health Economics or MPH and Ph.D.
Jr. Demonstrator M.A./M.Sc. in Health Economics or MPH. For Sr. No. 1 to 26 and 27 to 32: Rs. 67000/- + NPA. Jr. Demonstrator: Rs. 35400/- + NPA. The upper age limit is 33 years. Note: The application fee can be paid through any SBI Branch with the fee payment challan. The selection will be on the basis of Written Examination/Departmental Assessment and interview. You can submit offline application along with the copies of certificates duly self-attested or by the Gazetted Officer in support of educational qualification, experience, age/date of birth certificate, caste certificate, latest OBC certificate, NOC from the present employer, one passport size photograph and one copy of challan form should be sent personally or through registered post to the Administrative Officer, Recruitment Cell, PGIMER, Sector-12, Chandigarh-160012. Last Date: 25 May 2018.